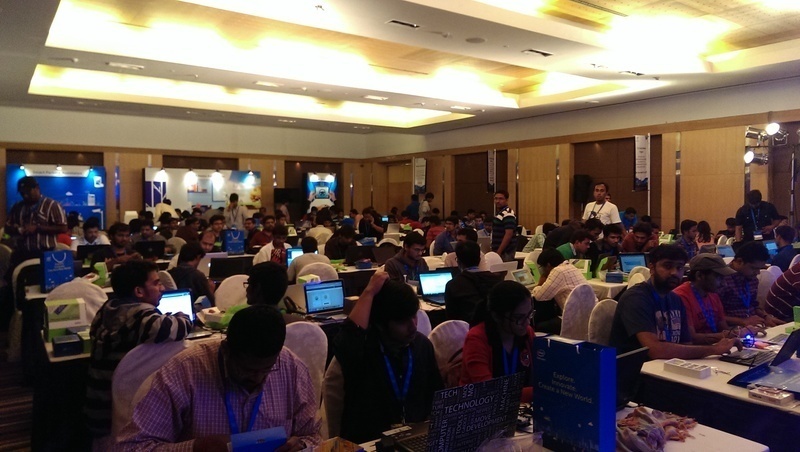 On 22nd Nov, Intel conducted its hackathon in Bangalore as part of its roadshow. They were giving off a lot of free hardware. I totally wish I was a participant. We were there to demo the unicycle and get some developers interested. We did not get a lot of pictures but here are some of them. We had a lot of people try them out when they wanted to take a break from the hacking session. Above are some of the pictures taken at Intel Hackathon of people trying out the unicycle. We had our first developer meetup in Bangalore at Jaaga. We had 8 people who showed up and we were 3 organizers (Freeman, Numaan & Alex). So in total we had 11 people. Our objective is to build really a strong community of hardware hacker in India. We had a discussion on the basics of the tech - Find the reference slide here. We have one electric unicycle - Freeman's. The attendies got to try that and get a sense of how it works and feels like. We are planning to get a couple more of electric unicycles for testing and development purpose from China. If you were at the meetup, pick the subsystem that you are interested and let me know, will add you to that subsystem. If you were not at the meetup and would like to contribute to the subsystem, let me know when subsystem are you interested in and we will take it forward from there. Both are important, but building a culture and an experience is what defines the personality of a makerspace. Managing operations is the part that needs to be done in order to keep the makerspace and the community from falling apart. We struggled with these 2 things before we shut shop. What we realized is that 1) Building a culture and an experience is the fun part. It is the unique part. 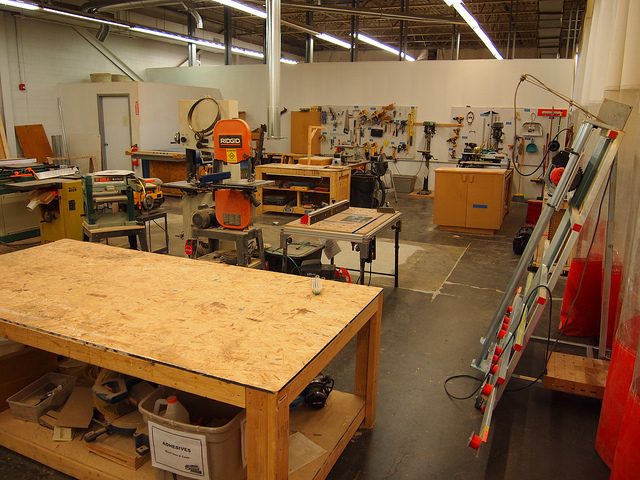 This is the part that differentiates one makerspace from another. This is the part that makes you want to go hang out at a makerspace. Part 2) Managing operations is a lot of work, it is more or less common between makerspaces and most importantly it can be automated, freeing up time for the awesome folks at the makerspace to build more interesting experiences. Here are some response from the survey. We will be publishing a detailed info graphic soon. This was the most important question that we asked in the questionnaire - "What tools are you using for membership management now? How do you know which member has what level of membership, what level of permissions?" Here are responses from some makerspaces. South London Makerspace We have a custom system that we built. shackspace We use several Excel Sheets for membership collection. There is only a very limited permission system which is kept on paper. Usually, when someone takes over the responsibilities of treasurer, they want to change to another tool which itsselfs usually not that well suited for our purpose. South London Makerspace We use our own membership database and subscription system written in node.js, and using GoCardless for payment processing. All other matters are handled in an ad-hoc manner. We are not yet large enough to require dedicated management software. i3Detroit We use SeltzerCRM, which was written in-house. It tracks people, keys, membership plans, and payments. It doesn't currently integrate with Google Groups for adding/removing people from the discussion groups, that's done manually. It doesn't currently integrate with OpenAccessControl for door key updates, that's done manually. It doesn't currently track tool permissions or usage, that's done on the honor system. It doesn't currently allow members to sign themselves up, data entry is done manually. toronto tool library & Makerspace paypal, RFID access, Basic excel sheets. not very effective. Im interested in this kind of thing. We have just started to use "sumac". membership based database management program. 1. all three need 2-3 hour (2 days) training and a physical certification made. We have waivers for any permanent use or member use. Payed jobs to anyone who doesn't want the membership. Phoenix Asylum Members pay with check or cash monthly, which is tracked on a google spreadsheet. When rent fees are changed annually additional spreadsheets are used to calculate the new rates based on actual increases. Equipment is not managed in any structured way right now. Large use of the space that would dominate the common area is managed on a Google Calendar. Hackerspace Maringá We use a wordpress plugin to do the job, but we control the members and budgets in a google docs spreadsheet. If you know admins of makerspaces, share this article with them. How to embed a makey on your website? First find the makey that you want to embed. Go to that makey page and find the ID for that makey. 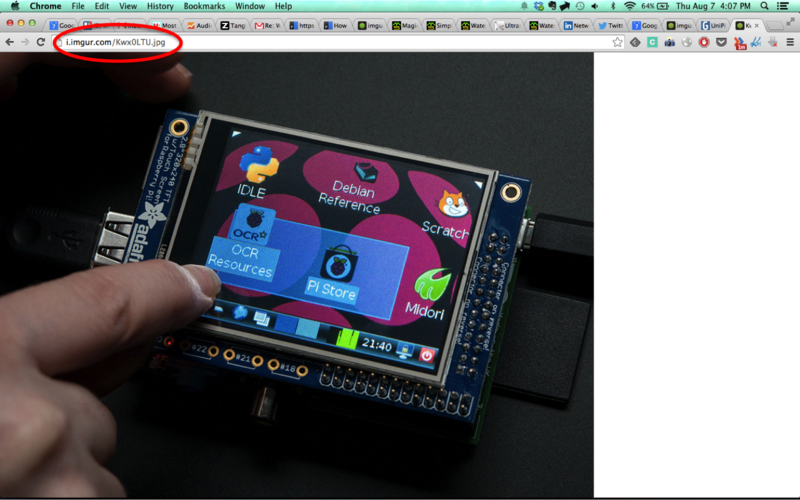 You will find the ID for the makey in the URL link. A typical makey url link will be - http://www.makeystreet.com/makey/2976/. The ID is the number that comes after www.makeystreet.com/makey/. In this case the ID is 2976. In order to embed the makey on your wesbite, copy this embedded code and paste this on your website. Notice the "width" element and "height element". You can adjust them according your preference. Width of 250px and height of 430px is recommended. If you are using bootstrap, you can make this responsive by enclosing the embedded code in a column element and setting width ="100%" , leave the height as 430px. You could try this reference for setting height to 100% if necessary - http://stackoverflow.com/questions/20357992/iframe-in-bootstrap-will-not-take-up-100-of-height. Setting height to a 430 pixel is recommended. If you have any integration issues, let us know. We will be glad to help you out. 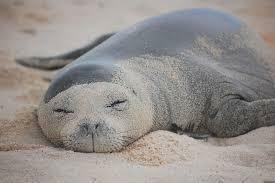 Currently makeystreet does not have the functionality to upload an image. Temporarily we support only image web urls. 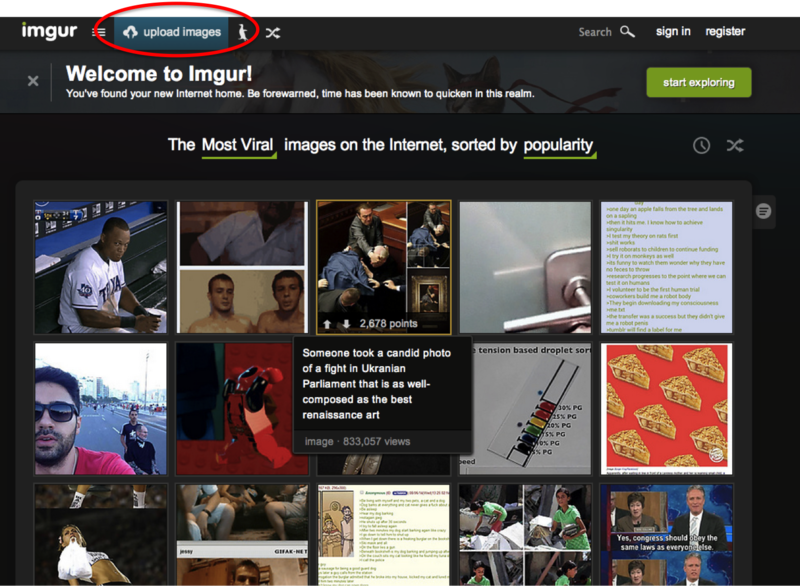 If you want a place to upload your images we recommend imgur. 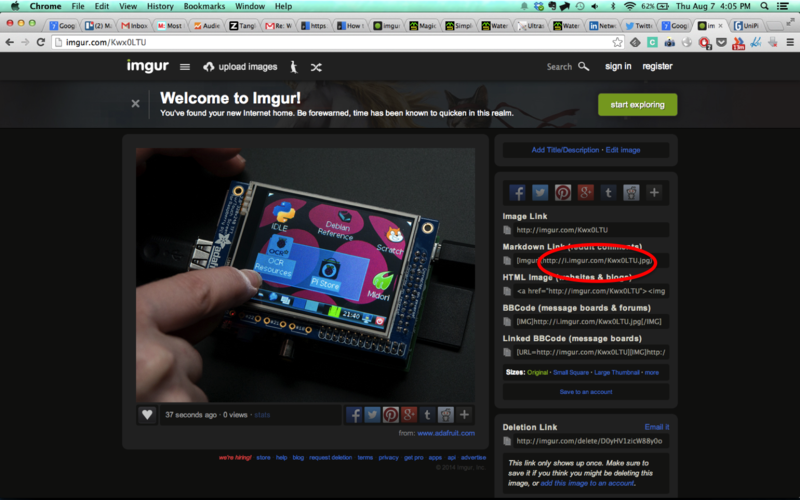 Here is how you upload an image on imgur and then link it to your makey. 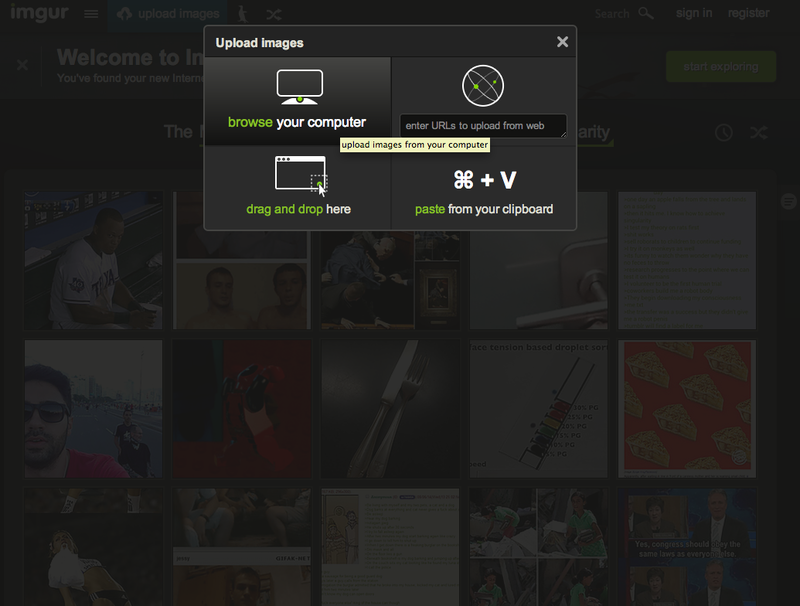 Step 1: Upload the image on Imgur. 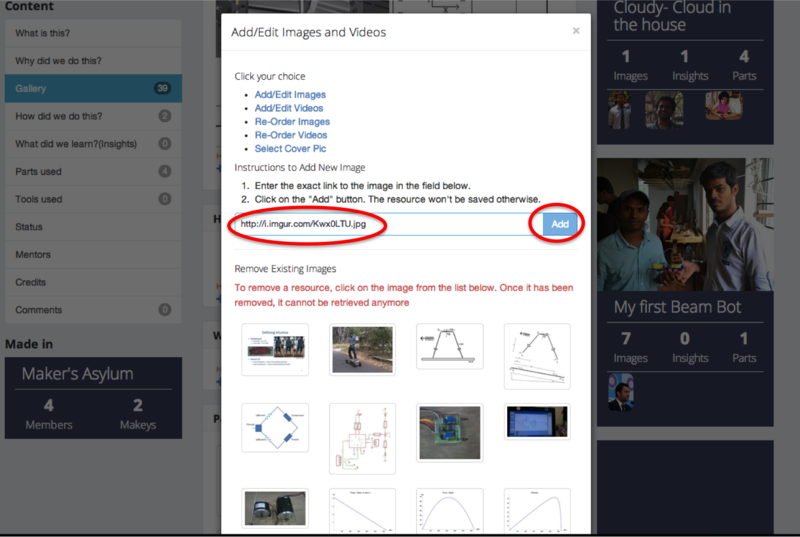 Once the image is uploaded you will land on a page similar to this. Go to the makey page, and add the image link to the gallery. Click add and you are done. I wanted to talk about something that I learned but still finding it really hard to practice it myself. "Dont wait till its perfect". This is in the context of being an entrepreneur but I see it applicable everywhere. The world is full of contradictions. There are people who preach contradictory statements. 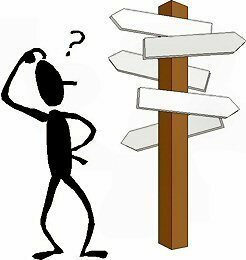 At times you are left wondering which one to follow. Today I am going to tell you - "Dont wait till its perfect". Firstly this contradicts with "build a great product". Well if you want to build a great product, you have to slog on it till its perfect. Doesn't that mean that you wait for the product till its perfect. Well its yes and no. You should build a great product. You should try your best to build an amazing product that solves a real world problem. But then again you should not wait till its perfect. You will need to deploy it. Give it to the hands of real customers and ask them what they think about it. I know this is really hard for some of us, particularly the engineers turned entrepreneurs. We have been taught to see value in the engineering. We find it really hard to show a product that is not perfect yet. Here is one case where I waited for it be perfect and totally screwed up. Magic Karpet: Months were spend on building this project. Did this as a final year project at college. Wanted to use it to leverage my startup. I wanted to get some momentum out of it for my startup. Waited for it to have the best support content. Since I felt it was not perfect I did not talk about it enough. Now, 2 years since, its hard to talk about the project. It has lost its newness. Its just something that I worked on in the past. Today neither is it perfect nor did I get much mileage out of it. Couple of months back I put that on quirky.com and now I have it documented on my own website. You can find it below. I should not have waited for it get perfect and deploy it. Here is why waiting for it to be perfect will screw it up for you too. 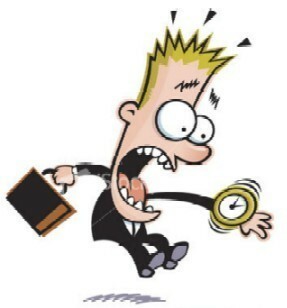 1) Most opportunity are time limited. There is a time in which you should make the most out of it. Some times it is explicit like applying for a competition. There is an obvious deadline. Sometimes the deadline is not so explicit. For example in the Magic Karpet case, I started forgetting details. I am not able to answer questions as effectively as just after completing it. Also the prototype degrades on use, parts gets salvaged for other projects etc and it comes to a point where the prototype is not in working condition for me to give someone a demo. 2) A lot of time you dont know what perfect actually means. You might thing that making it perfect means this feature, this article, this blog, blah, blah etc, but finally when you take it to people you realize that your definition of perfect was so very different from your target users definition of perfect. At the end of all the wait you still have a crappy product/project in the eyes of the people who you targeted. 3) You run out of enthusiasm. There are moments of inspiration, when you get a lot of things done. There are other times when you get nothing done. The longer you wait for it to get perfect with out outside feedback you run of inspiration and enthusiasm. When you see real people using your product, even if it is not perfect yet, you get more driven and inspired to perform, to perfect your product. So what does all this boil down to? Aim for perfection, but dont wait for it to be perfect to show it to your target users. They will help you perfect your product. This however has a very real barrier. Your ego. You dont want to show someone a crappy product. You are scared that they will say bad about it. Thats something that you will have to overcome. There is no way out of it. PS: Until now I have waited for the perfect thing to talk about to post the blog. Today is the day we ship. Today, the blog might not be perfect, but one day it will be.. Note a lot of these thoughts are reworded from Rework by Jason Fried. Maker culture is picking up at a fast pace in India. Various enthusiasts are organizing meet ups, setting up makerspaces across country with a will to make a greater impact. One of them is the first ever maker's meet was organized last Sunday (22nd June 2014) in Chandigarh to encourage and maker culture in Tricity. The event featured not only innovations from all over India but also speakers - Priya Kuber (MD, Arduino India), Sandip Patel (Founder, Espin Nanotech) and Charls Vincet (Fiin). The event also had a demo of 3D printer by LBD Makers, which is the major manufacturer and service provider for 3D printers in the north. In its demo, an actual iphone cover was printed in just 30 minutes. Event also discussed about setting up a Maker space in Chandigarh first of it’s own kind. Maker space is a community lab where people of all ages and interests come together to build something. Maker space has all the resources necessary for building something such as 3D printer, laser cutting machine, electronic components etc. While there are several maker spaces in US, we expect various such maker spaces coming up in India in a year, with a growing community of makers. The event was organized by makers from Chandigarh - Manisha Mohan (Innovator & Student, and developer of Society Harnessing Equipment), Karan Checker (Founder, Start up Elves), Nitin Gandhi (Cofounder, LBD Makers) and Jatin Sharma, (Cofounder, LBD Makers) who came together to encourage maker culture in Tricity.